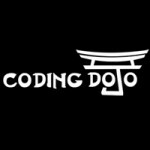 Coding Dojo provides a 12 weeks immersive training environment for developers in Bellevue (WA), San Jose (CA), Burbank (CA), Dallas (TX), McLean(VA), Chicago (IL), Costa Mesa (CA), Emeryville (CA). At Coding Dojo, students quickly learn to code and think like software engineers and develop web applications as an end result. If you’re like most people, learning a programming language or filling knowledge gaps may seem like a daunting task. Some feel they don’t know where to start or that trying to catch up would just take too long. Learning in person from actual developers and building real applications is the best and most efficient way to learn. It’s how we learned, and how you can too.